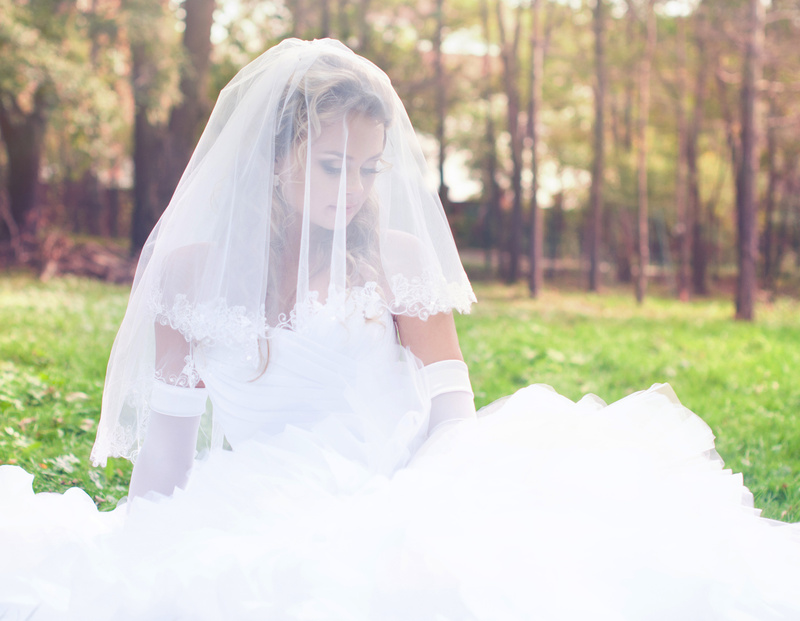 Sarah Weddings > Uncategorized > Should the Bride Wear White to Her Second Wedding? These days, wedding etiquette is really rather relaxed. That’s why deciding whether or not to wear white to a second wedding is really a personal choice. In other words, there are no hard and fast rules here. While some brides-to-be may feel uncomfortable wearing white for a second time, others won’t have a problem with it. In the end, it’s all about what feels right to a prospective bride. Because so many people do get married more than once nowadays, there isn’t really any stigma involved with wearing a white gown at a second wedding. While those who are very old-fashioned may find the second wearing of white to be a bit gauche, others who are more modern in terms of their outlook won’t think twice about the fact that a bride is walking down the aisle (for the second time) in a white dress. Does a White Dress Symbolize Purity? 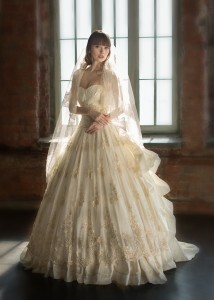 Initially, white wedding dresses were symbols of purity and chastity. In the olden days, these virtues were highly prized in women. However, in the modern age of feminism, things have changed. Women are empowered in all areas, including sexuality, and most don’t value purity in the same way that their descendants did. In other words, if you’re worried about wearing a white wedding gown for your second nuptials, because you are no longer “pure”, don’t worry too much. 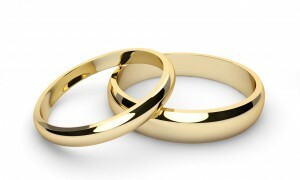 Most people who marry have already been intimate, whether it’s their first marriage or not. Therefore, old-fashioned associations between white wedding dresses and chastity are definitely more than a little out of date. Of course, there are exceptions. However, since the dawn of the sexual revolution during the 1960s, views on the value of purity have changed considerably. It’s your wedding and you should be able to wear whatever you like. It’s your special day. If you prefer the traditional look of a white wedding gown, you’ll find that wearing one is the best way to get the bridal look that you want. If you’re interested in exploring options, in terms of gowns that aren’t white, you’ll find that there are tons of exciting and fashionable wedding dresses in a host of appealing colours, from blush pink to red and beyond. So, don’t be afraid to indulge in colour if that’s what will make you happy. 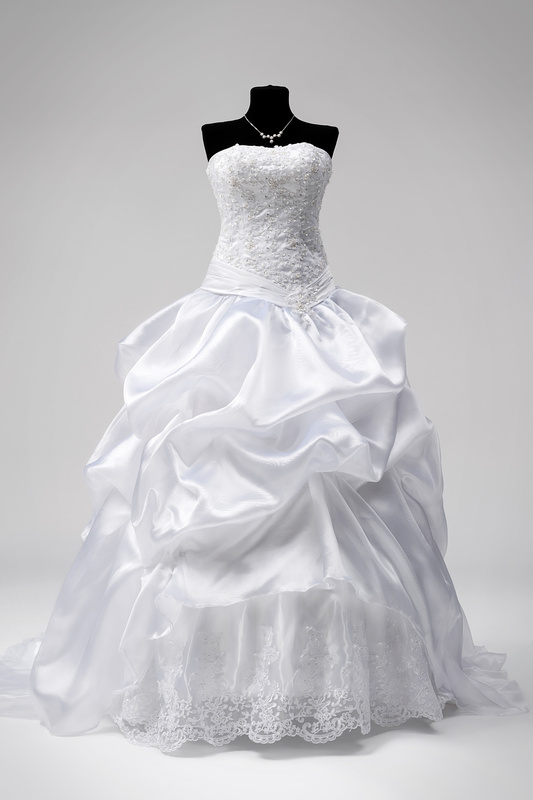 Another option is to choose a white gown that has colourful accents. 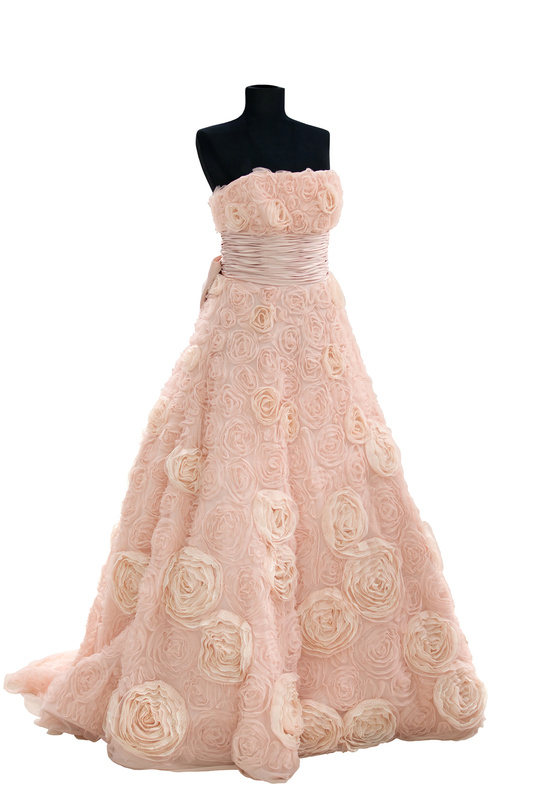 For example, you might want to select a snowy-white gown that has a hot pink or ice blue sash. When you select this type of dress, you’ll be ready to enjoy high style with a dash of vibrant beauty. Still another option is wearing a white dress and accessorizing with colour. For example, you may wish to wear colourful bridal jewellery, such as ruby pendants or emerald drop earrings, in order to add a little depth and richness to your look. More mature brides-to-be who are planning to marry for the second time may want to consider off-white, cream or palest dove-grey. For example, an older bride may look dazzling in a fancy silk skirt suit in a pale colour, such as a light neutral, as this look will be incredibly classic, flattering and elegant. Second weddings may be occasions which inspire unusual wedding dresses, such as shorter, knee-length gowns. Those who have already worn full-length confections may prefer to choose shorter and more fashion-forward designs the second time around. Luckily, many fashion designers are able to provide exceptional gowns which feature more unconventional shapes, lengths and embellishments. Is a White Dress Right for You? Now that you know more about whether or not a white wedding dress is appropriate for a second wedding, you’ll be ready to make a choice that is right for you. Since it’s all about pleasing yourself, you don’t need to concern yourself with what anyone else will think. However, you may wish to discuss your gown choices with friends or family, or with your husband-to-be. By getting feedback from these important people, it may be easier to make smart choices. Women should be encouraged to bring their fairy-tale fantasies to life, whether it is a first wedding or a second. 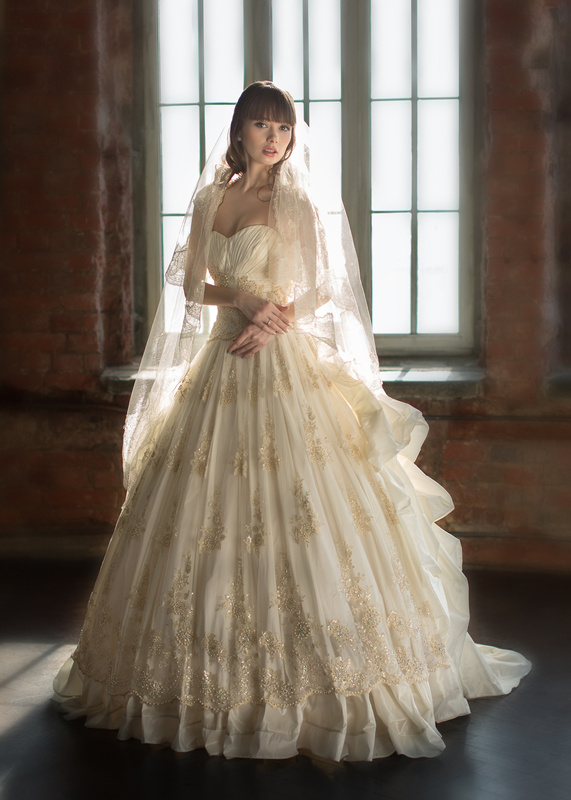 Whether a woman wants a medieval theme wedding with a lacy white dress (and corset) or an ultra-modern, runway-ready effect, she should be able to please herself and to feel good about her choices. While traditional wedding etiquette may point women towards non-white wedding dresses for their second weddings, there’s really no need to follow etiquette that is so out of date. Of course, if you really value tradition, you may opt to eschew white. Just make sure that you are selecting a gown that pleases you, no matter what colour it is. So, ultimately, gown colour is your choice. You can’t really make a mistake, so have fun with it. You’ll find awesome resources for wedding gowns online. These days, almost every wedding designer offers an official website that is packed with glamorous, full-colour photographs of designs. When you browse styles via the Web, you’ll be ready to isolate cuts, colours and fabrics that appeal to you, which may make it easier to narrow down your choices. Once you’ve figured out how you want your gown to look, you’ll be able to comparison-shop for styles in order to find the best prices. It’s always best to try a gown on in person before you buy. When you do, you’ll be able to see how it actually looks on you before you buy. One option is to try on a gown at a community bridal shop, and then look for the same style online, for a cheaper price. Now that you understand more about white gowns and whether or not they are appropriate for second weddings, you’ll be ready to get organized. Whether you wear a bright gown or something more subtle, you’ll find that wearing your gown with true confidence is the key to looking for most radiant on the big day. So, be sure to make the most of your look by carrying yourself like a queen.